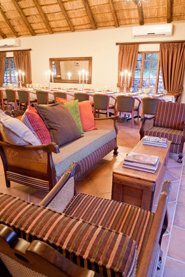 One night and two days -- Price R5200.00 p/p - Minimum pax is 2. Departs Mondays, Wednesdays and Fridays from Swaziland. 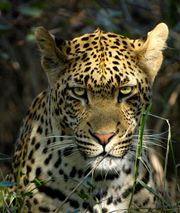 he best wild life can be seen by joining Myxo’s Woza Nawe Kruger Tours. Inclusive in the 2 day Kruger Park Safari is transport for the duration of the Tour, as well as pick-up and drop-off in Swaziland (prior arrangements need to be made for drop off time and place) Guests can arrange to be collected from their hotel in Swaziland. Professional guides, dinner on the first day, and breakfast on the second, as well as game viewing tours in open safaris vehicles in the Kruger National Park, entry fees and daily conservation levies, air-conditioned mosquito proofed accommodation with en-suite facilities, bottled mineral water, and wine with evening meals are all included in the total package. Not included are any drinks except bottled water and wine. Two nights and three days -- Price R6400.00 p/p. - Minimum pax is 2. Swaziland is very close to the international Kruger National Park, with Mbabane / Manzini only 205km away from the southern entrance of the Park. Driving takes approximately 2 hours through the magnificent Swaziland country side. This is one of the Kruger Park guided tours - you can now book all your Wildlife tours in Swaziland. Guided tours are the best way to minimize the problems of planning a game park holiday. Enabling the traveler to see as much as possible - in a short amount of time. We will take care of details such as accommodation and transport and meals - you can just relax and enjoy your holiday. With the skills of a guide who specializes in the Kruger area, and has on-hand knowledge of the bush, and vast knowledge of the animals and bird life, you are assured of the best experience. After your holiday, you will surely be glad that you took this opportunity and booked with us to discover the Kruger Park. This is the perfect opportunity to run away from the city and your work, and not to think about anything stressful for a while! Your host, Myxo will collect you from a pre-arranged point in Swaziland. Departure from Swaziland will be at 5:30am, this will enable us to reach the border at 7 am which is the opening time for the Matsamo Border Post. We will then drive straight to the Malelane Gates entrance of the Kruger National Park, where we will meet our guide who will be waiting for us with an open vehicle. This will mark the beginning of our adventure in the Kruger Park and will be at 8:30am approximately. When you enter the Park the tour guide will drive whilst you are looking for animals and enjoying bird sightings. The guide will look for a picnic spot to breakfast under the African sun, after this you will then head out in search of wild life until lunch time. The park is full of great places to stop for lunch as well as picnic areas, e.g. at the Main Camps where there are restaurants, and tourist shops and small supermarkets. Visitors will all be allocated their rooms and have a chance to relax around the lodge, or take a short walk around the surrounding mini reserve. The evening will be spent sitting around the bonfire and sharing all the exciting stories ! Dinner will be served, with wine if required. After lunch you will carry on looking for animals, providing further chances of spotting your favorite animals and birdlife. The drive will last 4pm, and this will mark the end of our adventure within the animal kingdom, as we start our drive back to Swaziland.